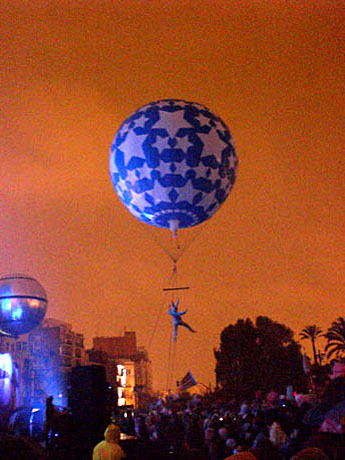 At 7:45pm, on the last Sunday of February, Las Fallas festival is officially inaugurated. We went last night and stood in the rain with thousands of cheering, singing and shouting spectators. Above us, acrobots hung from giant balloons, and the Serranos Towers (location) were lit up with images and smoke. La Fallera Mayor (festival queen) gave a little speech about something which we weren’t able to translate, and the crowd went even more nuts than before. Here’s a description of La Cridà from the official Fallas From Valencia website. 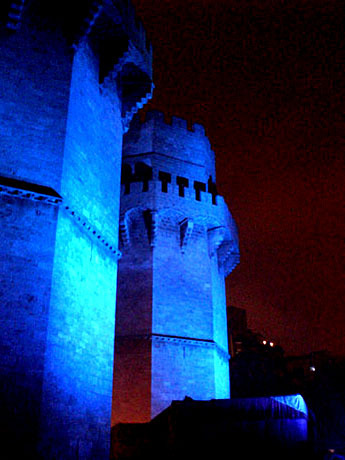 La Cridà marks the official opening of the Fallas Festival.